So as you know, I’ve been making regular trips to my “Zwift Cave” to sneak in a quality early morning or evening session on the rollers. It has really got me motivated to train harder again in order to recover some of that lost fitness. 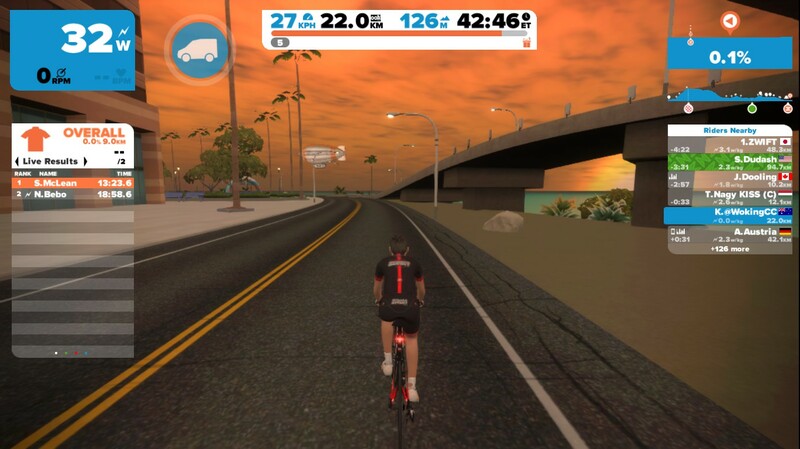 Zwift has changed my entire mindset when it comes to how I view indoor training. Zwift. I haven’t spent this much time playing video games since the days of Doom II. Could I just go outside? Yeah of course. I just don’t really feel like risking the dusk/dawn gauntlet of errant Tasmanian wildlife. Colliding with a wallaby, possum, wombat, echidna, Tassie devil or six foot long tiger snake while bombing along would not make for a good end to a ride! 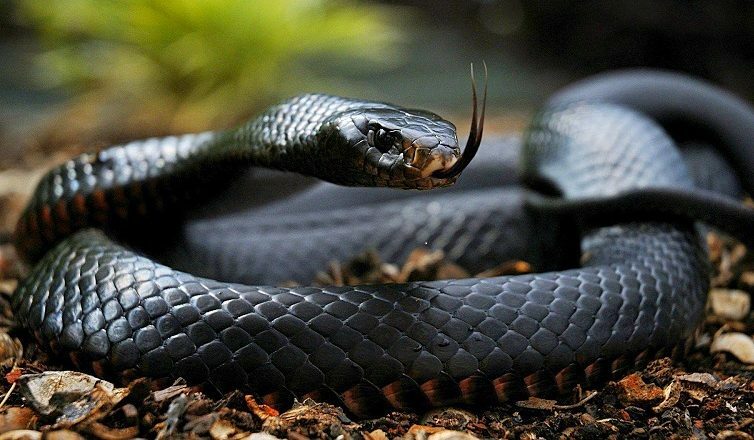 Tiger snake venom is neurotoxic, affecting the central nervous system. It also causes blood clotting and breakdown of muscle tissue which can lead to kidney failure. Death from a bite can occur within 30 minutes, but usually takes 6-24 hours. Plus I’ve got to make good use of the Strava Premium bonus! I’ve got the CX bike on the rollers with my PowerTap hub. That bike hasn’t seen any use since my Sigma Sport commuting days and it’s great to be back using Di2 again, if only indoors. I already had the rollers so the only purchases I made to “get Zwifting” were an ANT+ dongle ($30 from eBay) and a USB extension cord ($10) to move the dongle closer to the wheel. The virtual me is *almost* as stylish as the real me. I can feel the positive effects already. Just that extra time in the saddle, even if it’s just unstructured riding around the Watopia or London courses, has already made a tangible difference to my fitness levels. I’ll still need to clock some road miles, including time aboard the TT bike and hitting some hills. It’s another string in the training bow that should see me making inroads back into good form. Maybe I will see you in Watopia or London sometime! Have you gone on any group rides or done any races yet? Both are great fun. Ride on! Hopefully! :-) I haven’t joined any group rides yet, still tweaking my setup and working on my roller skills to be able to drink, eat, towel my face, etc at high effort without crashing off the side! Okay so I’ve done a few group rides now and I am totally hooked! So much fun blasting along with the group (or on my case trying desperately to hang on) and it really pushed you to go harder.